Silhouette America is having their annual Free Holiday Design event in the Silhouette Design Store! Okay...back to the free Silhouette designs. 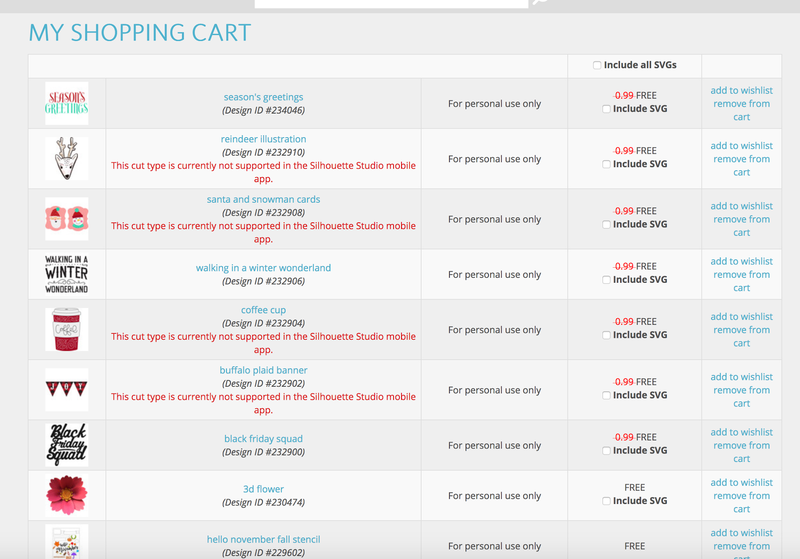 The freebies started on November 23, but the good news is if you didn't grab the previously released designs from the Silhouette Store, you can still get them, too! 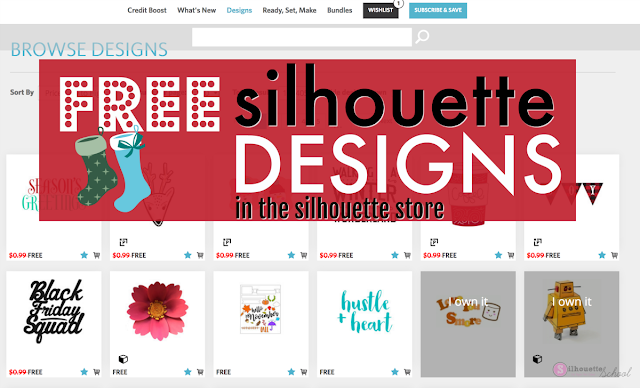 It's easy to find all of these free designs in the Silhouette Design Store. 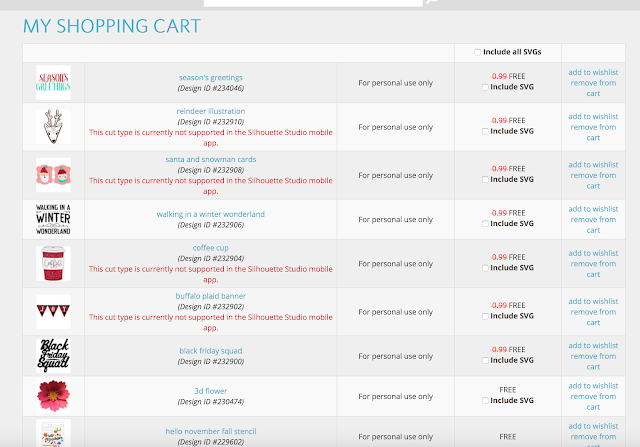 Go to the Silhouette Online Store website and click on the "Design" tab along the top. In the Sort By dropdown menu sort by "Price: Low to High." This will pull up all of the free designs. 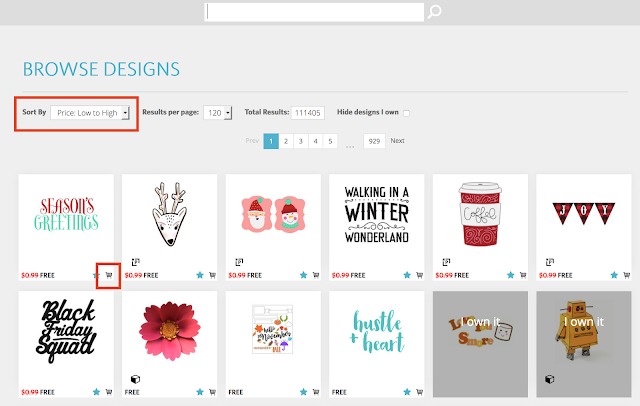 Now, add each of the free Silhouette designs to your cart by clicking the cart button on the bottom right of each design thumbnail. Once you've added the design files to your cart successfully, that will be reflected on the design preview itself. 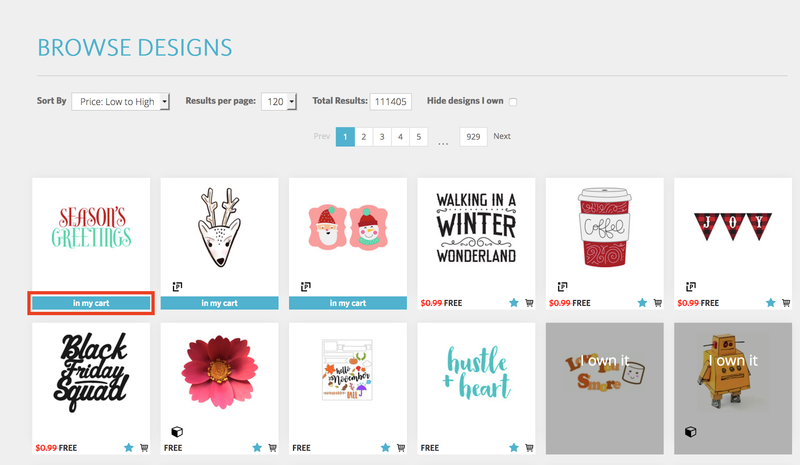 When you've added all of the designs, click on the shopping cart icon at the top right of the screen to begin checking out. If you'd like to add the free SVG option at checkout, you can do that too. At the bottom of the page you can click "Checkout." You will need to put your Silhouette America account password back in and then the order will be processed. The designs, because they are from the Silhouette Online Store, should automatically download into your Cloud folder in your Silhouette Studio Library. You should be able to find them in the Recent Downloads folder. 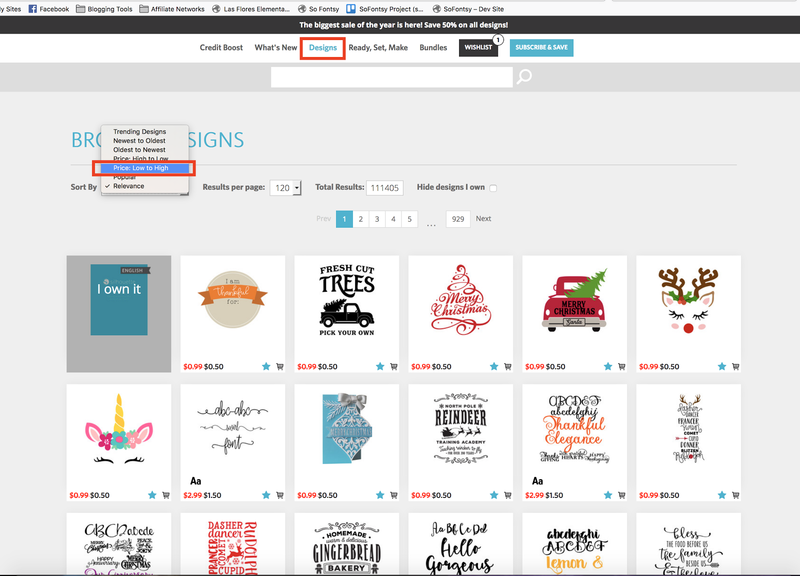 If they don't automatically download, sign out and then back into your Silhouette Cloud folder. 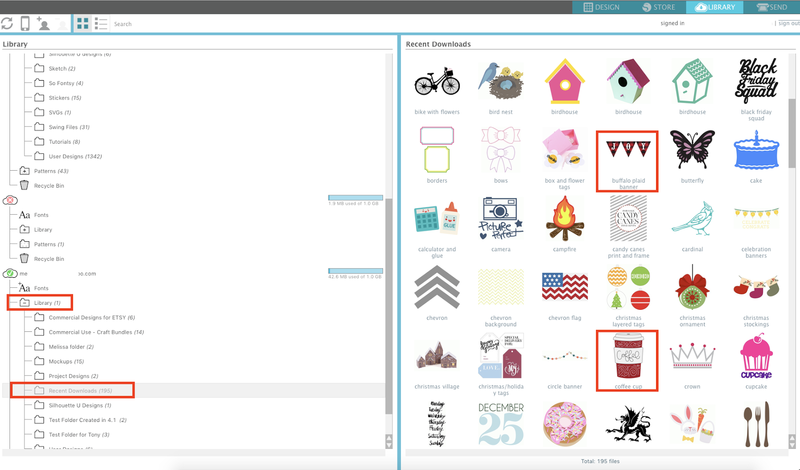 And of course, don't forget to go back every day from now until December 21, 2017 to grab the new free Silhouette design...and cash in on the 50% off design sale!